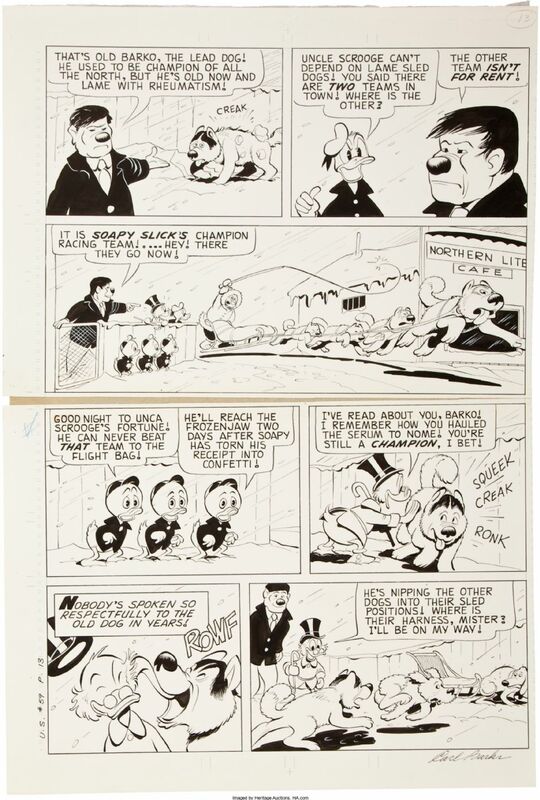 The 5`th page was sold on Heritage Auctions on November, 19 - 2010 for 14.340 $. Grade = A. 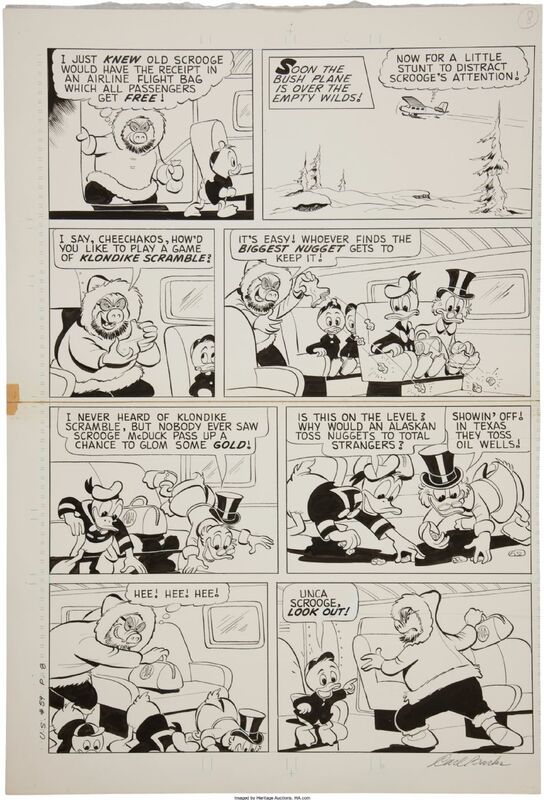 The 6`th page was sold on Heritage Auctions on November, 19 - 2010 for 15.535 $. Grade = B. 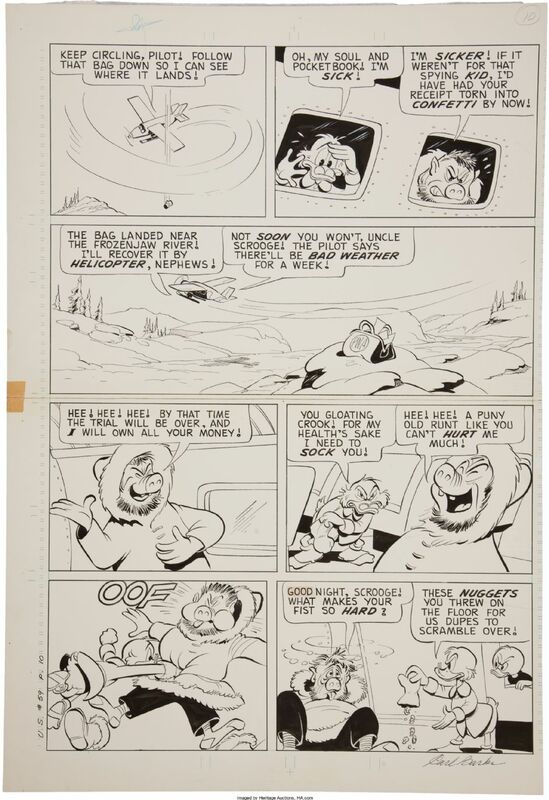 The 7`th page was sold on Heritage Auctions on February, 25 - 2011 for 14.430 $. 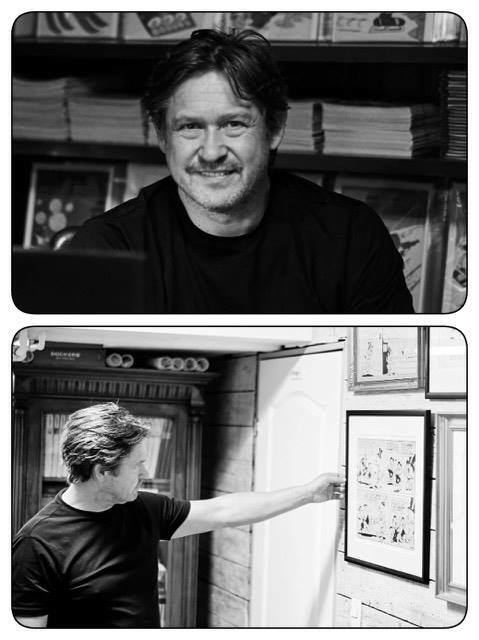 The page was sold again in March 2015 from Sotheby`s Auctions for 18.750 $. Grade = B. 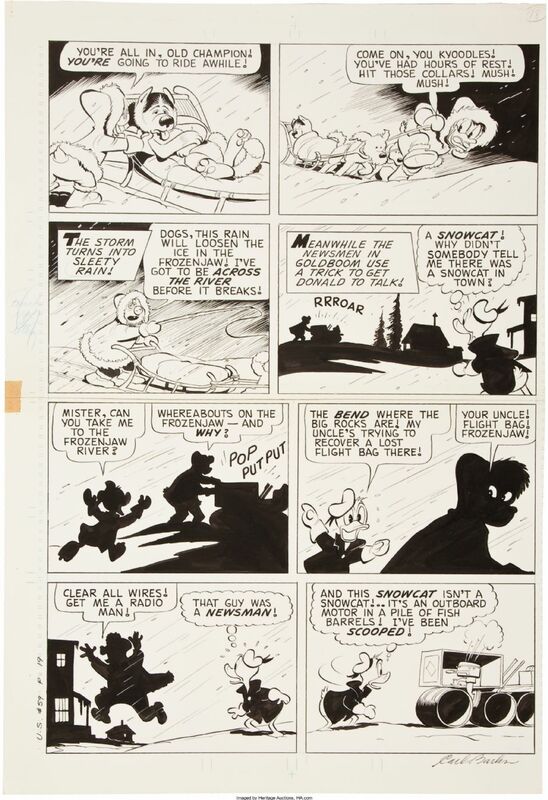 The 8`th page was sold on Heritage Auctions on February, 25 - 2011 for 12.547 $. Grade = B. 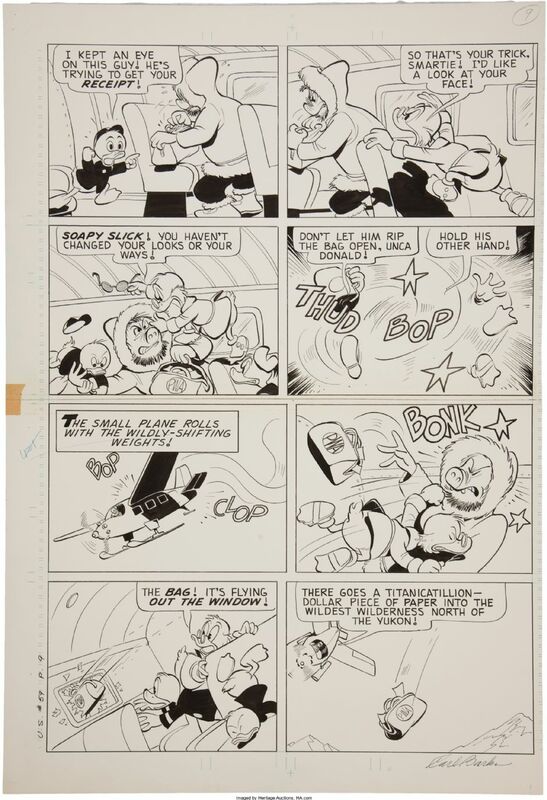 The 9`th page was sold on Heritage Auctions on February, 25 - 2011 for 11.352 $. Grade = B. 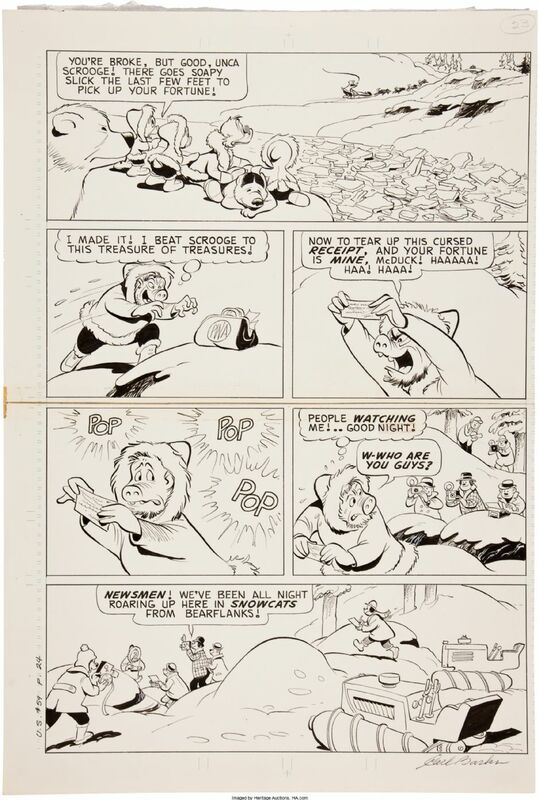 The 10`th page was sold on Heritage Auctions on February, 25 - 2011 for 11.352 $. Grade = B. The 11`th page was sold on Heritage Auctions on February, 25 - 2011 for 11.651 $. Grade = B. 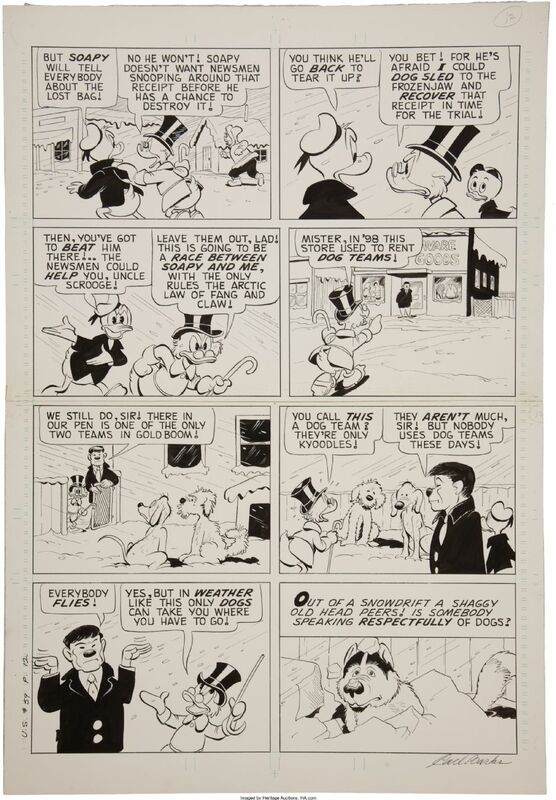 The 12`th page was sold on Heritage Auctions on February, 25 - 2011 for 17.925 $. Grade = A. 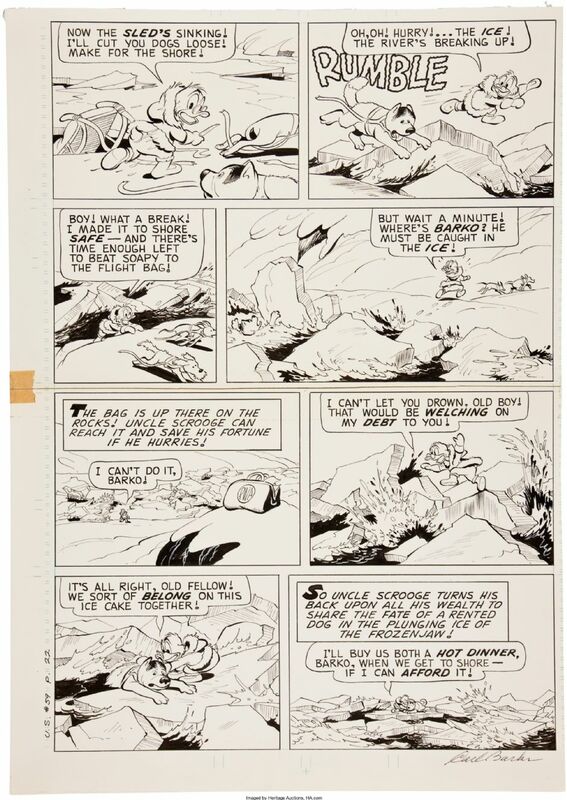 The 13`th page was sold on Heritage Auctions on May, 5 - 2011 for 20.315 $. Grade = A. 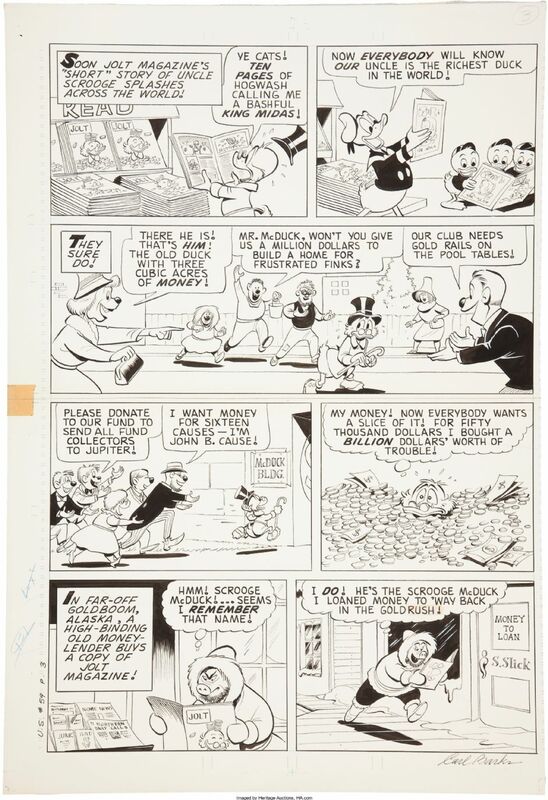 The 14`th page was sold on Heritage Auctions on May, 5 - 2011 for 17.925 $. Grade = B. 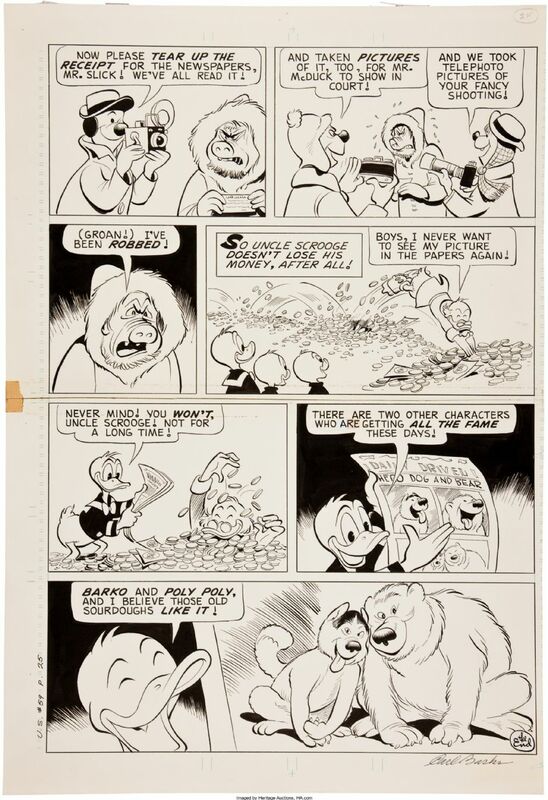 The 15`th page was sold on Heritage Auctions on May, 5 - 2011 for 6.572 $. Grade = B. 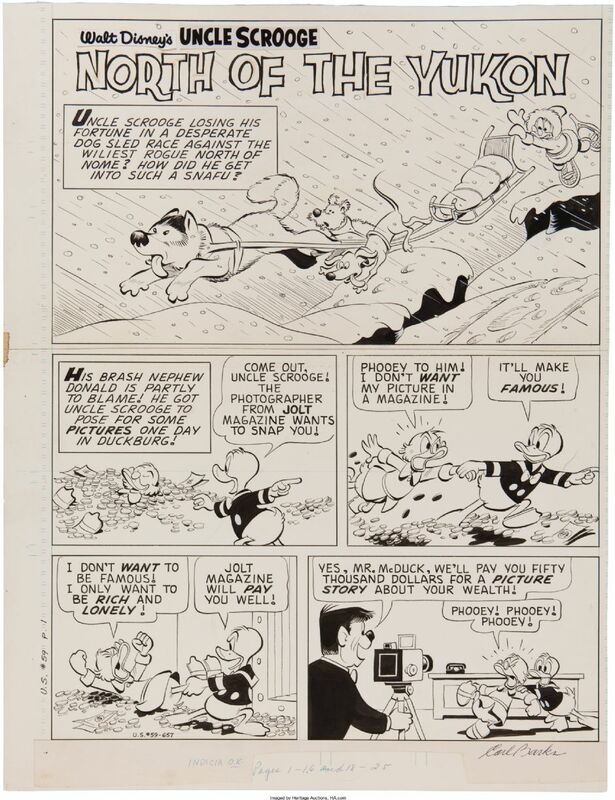 The 16`th page was sold on Heritage Auctions on May, 5 - 2011 for 7.170 $. 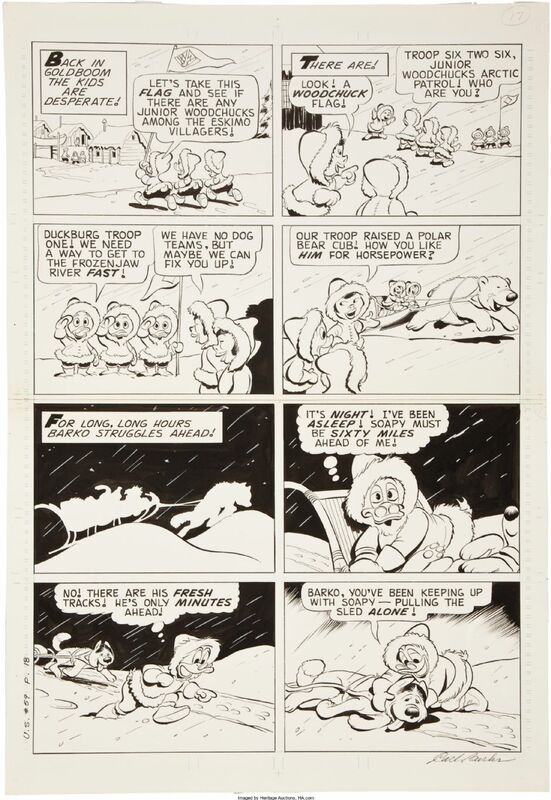 The page was sold again 2 years later, also on Heritage Auctions on May, 17 - 2013 for 19.120 $. Grade = B. 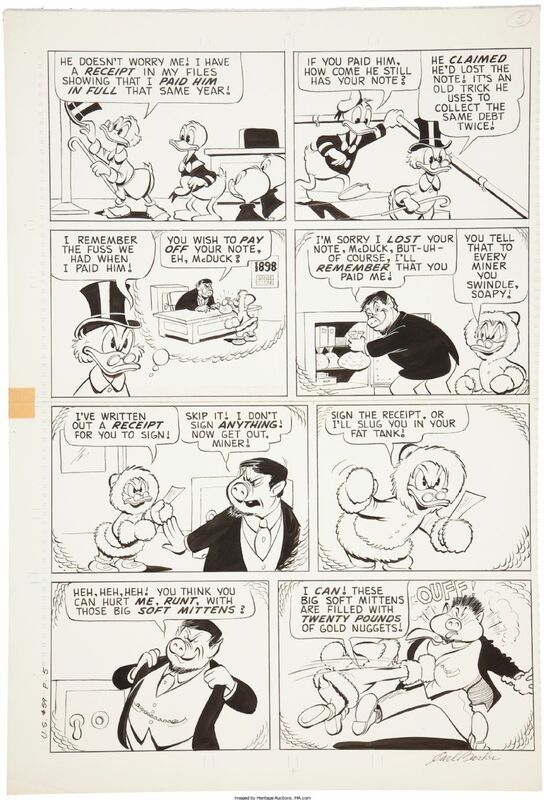 The 17`th page was sold on Heritage Auctions on May, 5 - 2011 for 10.157 $. 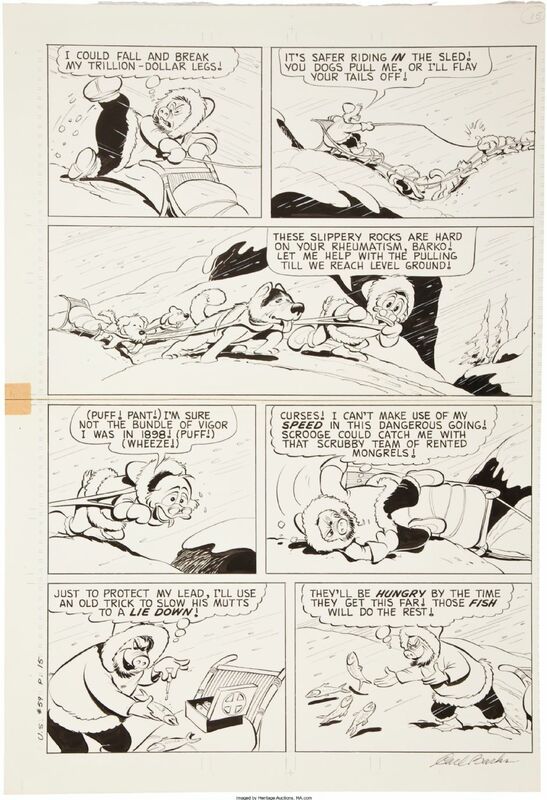 The page was sold as page 18 because Western wrote the page number for the comic in the margen. Grade = B. 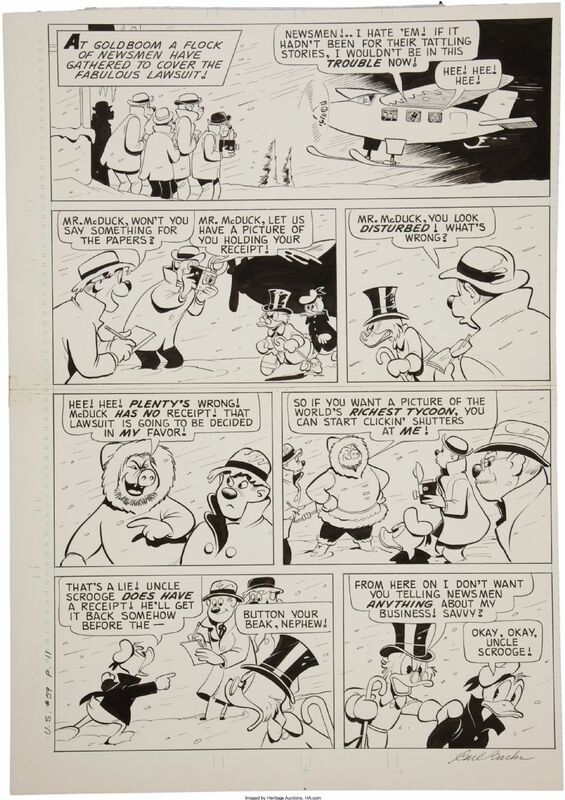 The 18`th page was sold on Heritage Auctions on May, 5 - 2011 for 8.604 $. 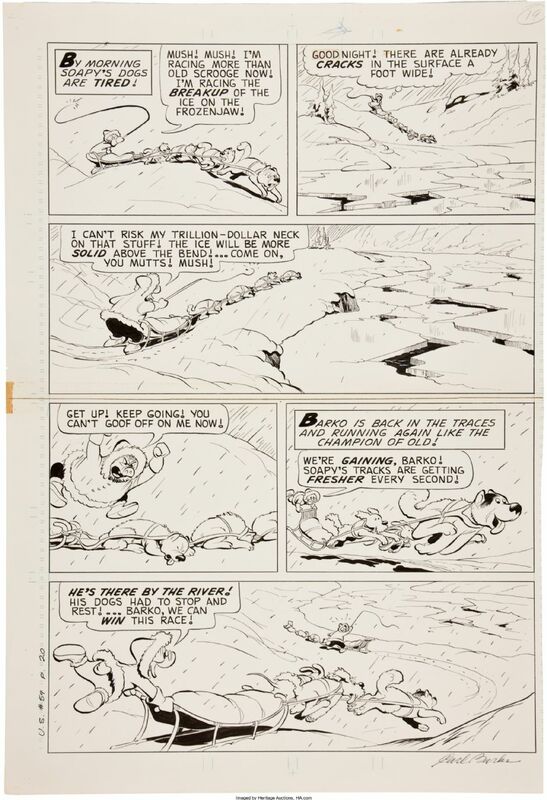 The page was sold as page 19 because Western wrote the page number for the comic in the margen. Grade = B. The 19`th page was sold on Heritage Auctions on Aug, 18 - 2011 for 7.767 $. 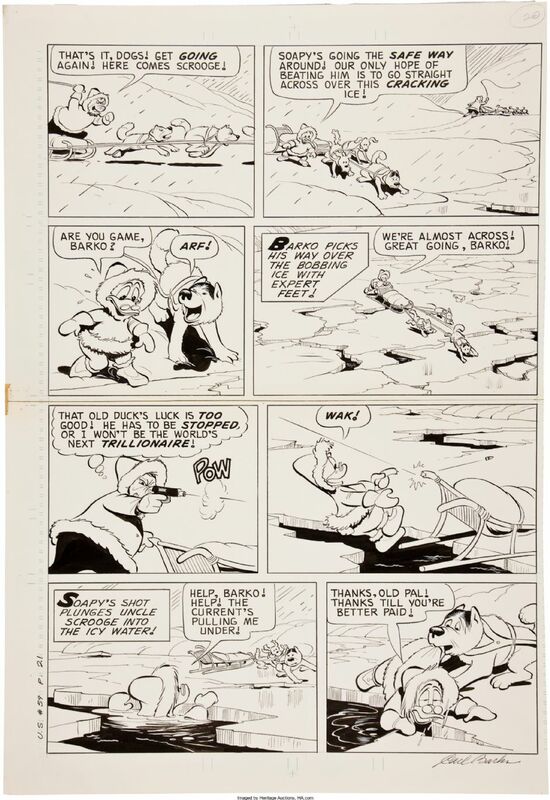 The page was sold as page 20 because Western wrote the page number for the comic in the margen. Grade = C.
The 20`th page was sold on Heritage Auctions on Aug, 18 - 2011 for 8.962 $. 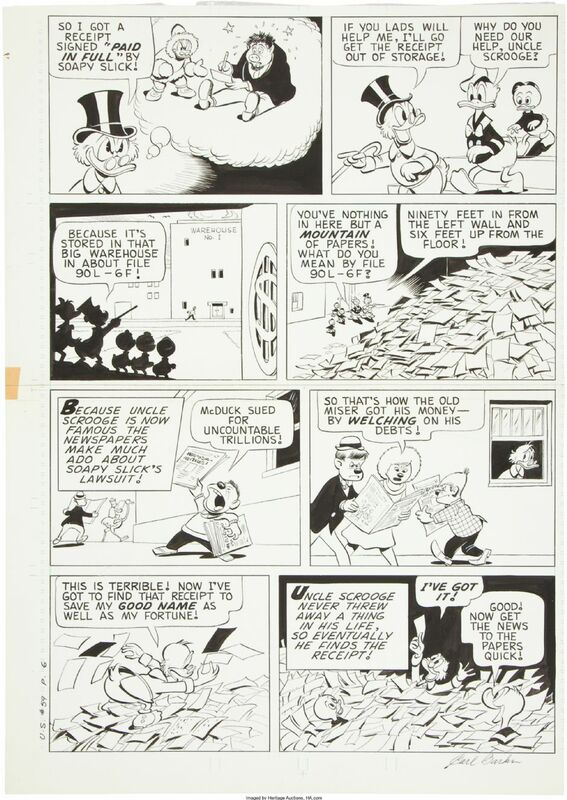 The page was sold as page 21 because Western wrote the page number for the comic in the margen. Grade = B. 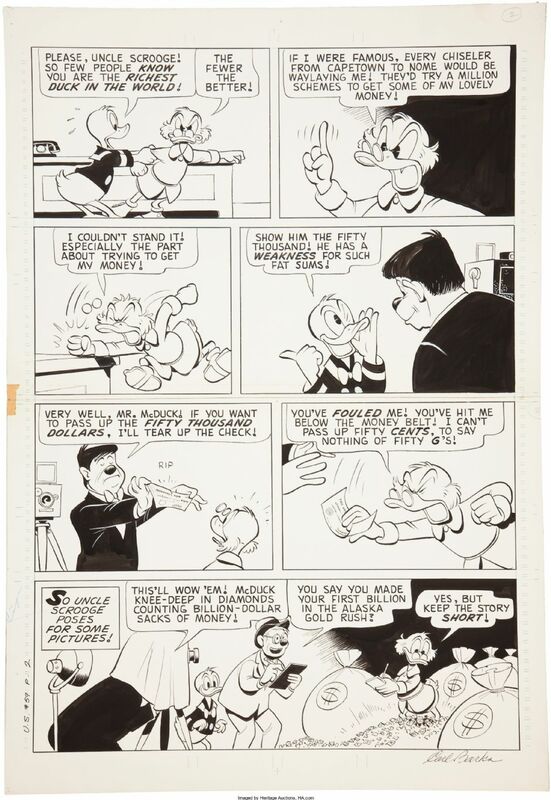 The 21`th page was sold on Heritage Auctions on Aug, 18 - 2011 for 16.730 $. 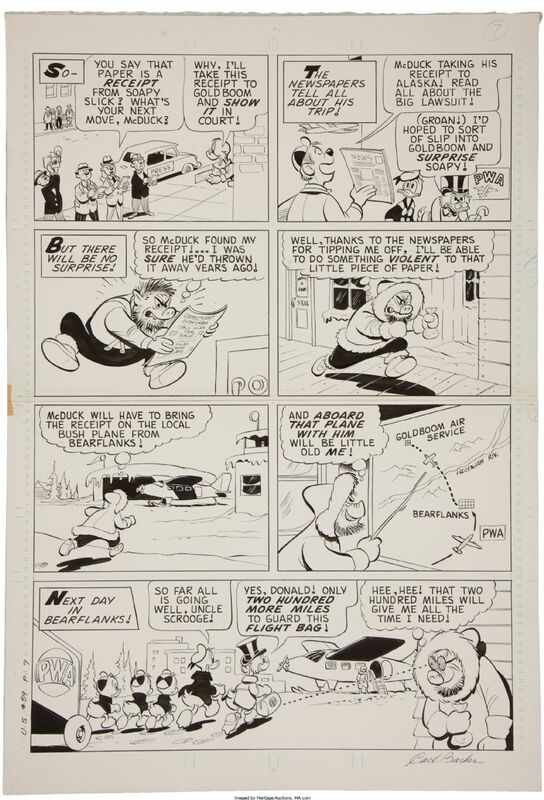 The page was sold as page 22 because Western wrote the page number for the comic in the margen. Grade = B. 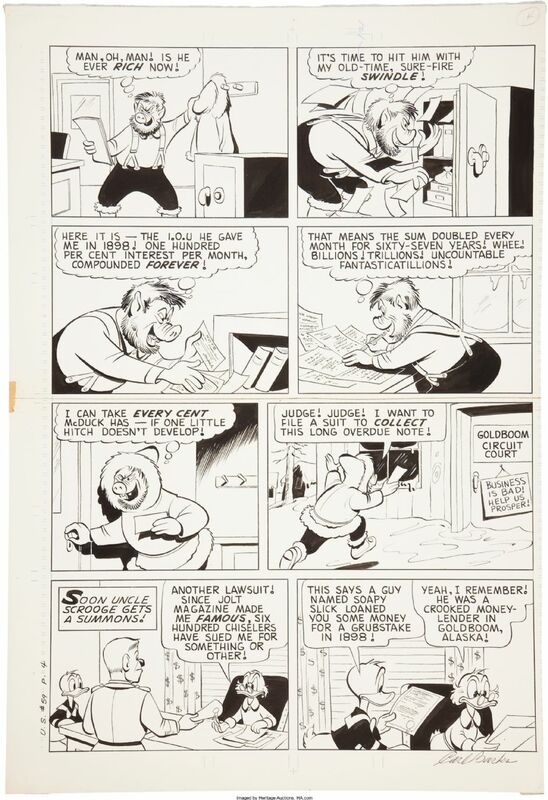 The 22`th page was sold on Heritage Auctions on Aug, 18 - 2011 for 10.755 $. 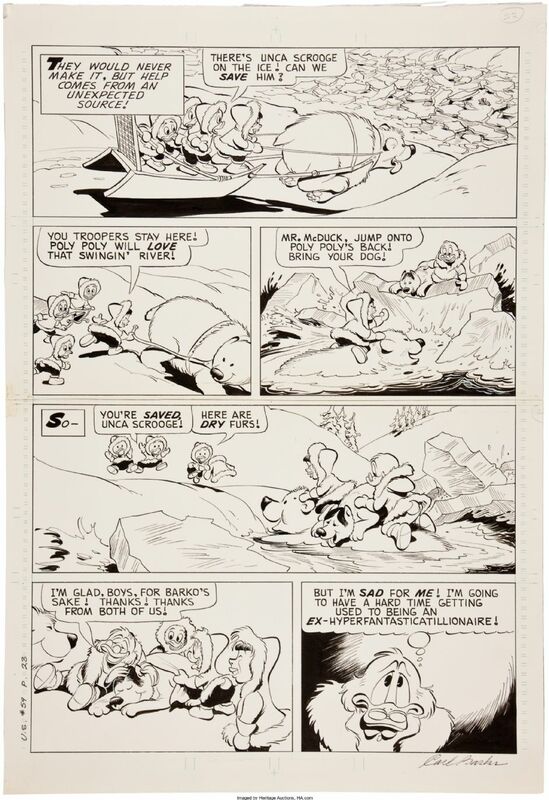 The page was sold as page 23 because Western wrote the page number for the comic in the margen. Grade = B. The 23`th page was sold on Heritage Auctions on Aug, 18 - 2011 for 6.572 $. 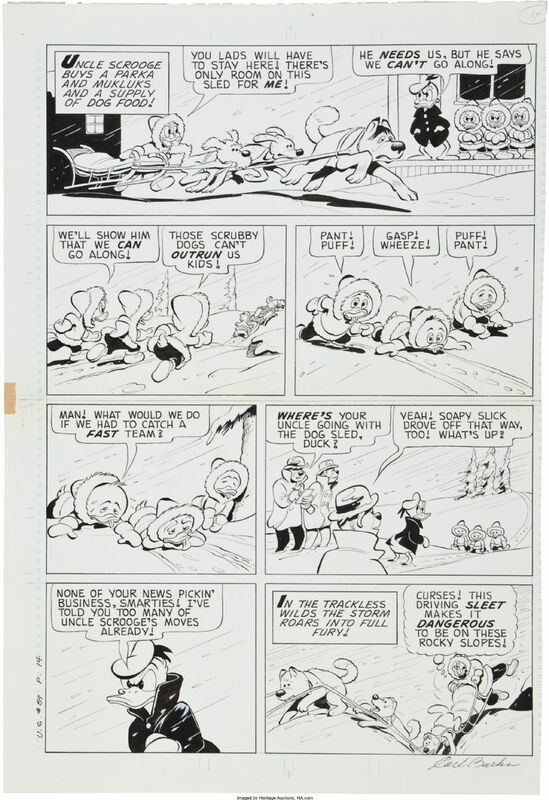 The page was sold as page 24 because Western wrote the page number for the comic in the margen. Grade = C.
The 24`th page was sold on Heritage Auctions on Aug, 18 - 2011 for 11.950 $. 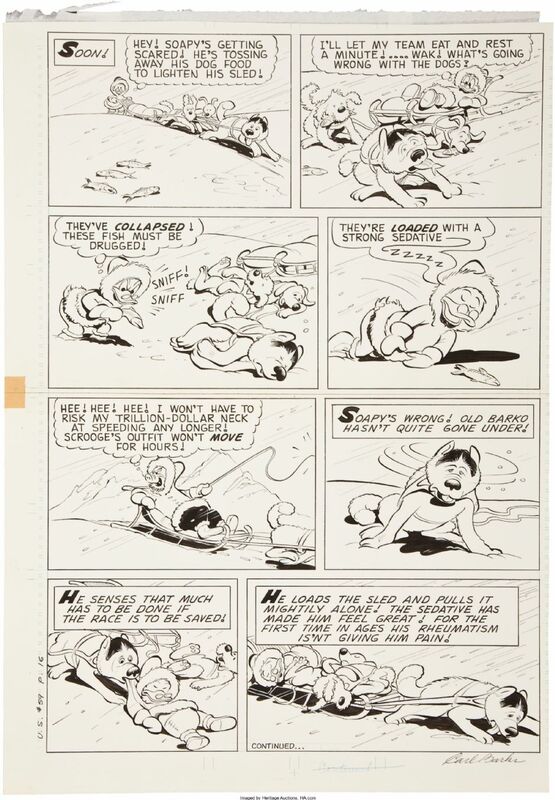 The page was sold as page 25 because Western wrote the page number for the comic in the margen. Grade = A.